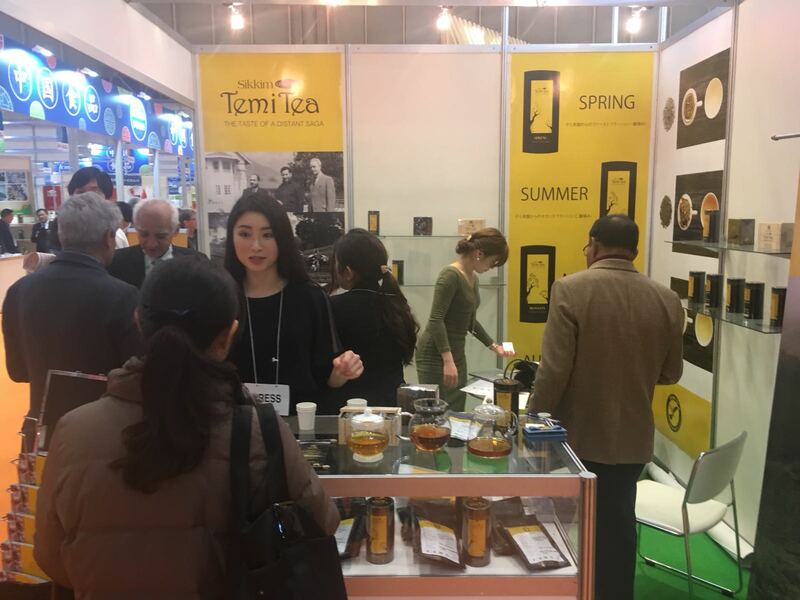 LA DITTA Co., Ltd. is an official distributor and sales and marketing as an exhibitor of “Phantom tea tea / tea” at “FOODEX JAPAN / International Food and Beverage Exhibition” held from 6th March to 9th March 2018 Support etc. 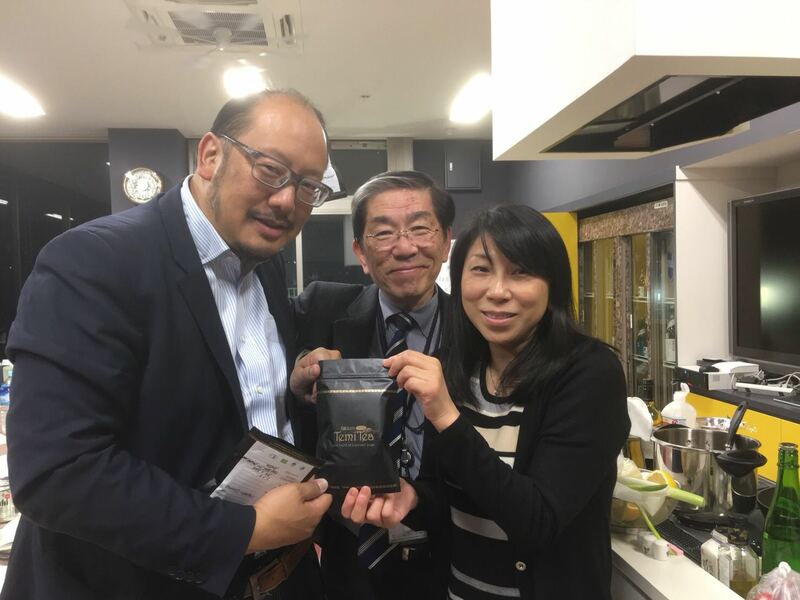 LA DITTA Co., Ltd. (Minato-ku · Singapore, Representative Director Hiroyori Kosato) is the largest food and beverage special exhibition in Asia “FOODEX JAPAN / International Food and Beverage Exhibition” (43th meeting, Makuhari Messe) at ” Sales and marketing support etc. 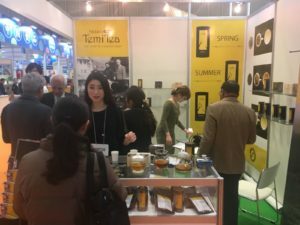 are carried out along with exhibition of “Phantom black tea Temi · tea” (Booth is 4C 0328 in the Indian Pavilion). 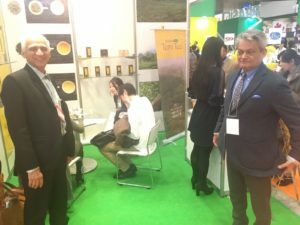 Also, at the exhibition booth, promoting the world’s first Sikkim with “VR video”. 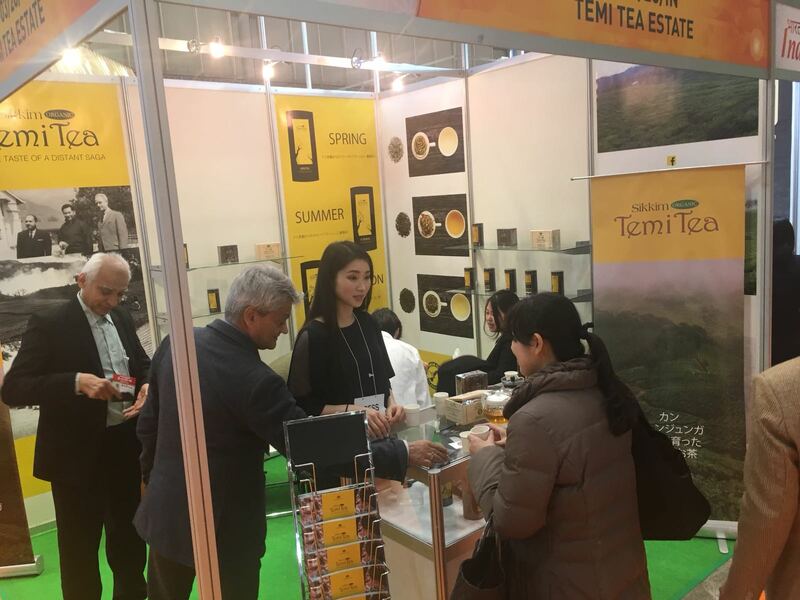 We are collaborating with partner ltd East Times partner in charge of VR animation production and promotion that introduce the charm of Temi · Tea and Sikkim State abroad in response to the request of Indian · Sikkim State. The content of the animation is a virtual experience tour of “tea tourism” which foreign visitors can actually experience in Sikkim. 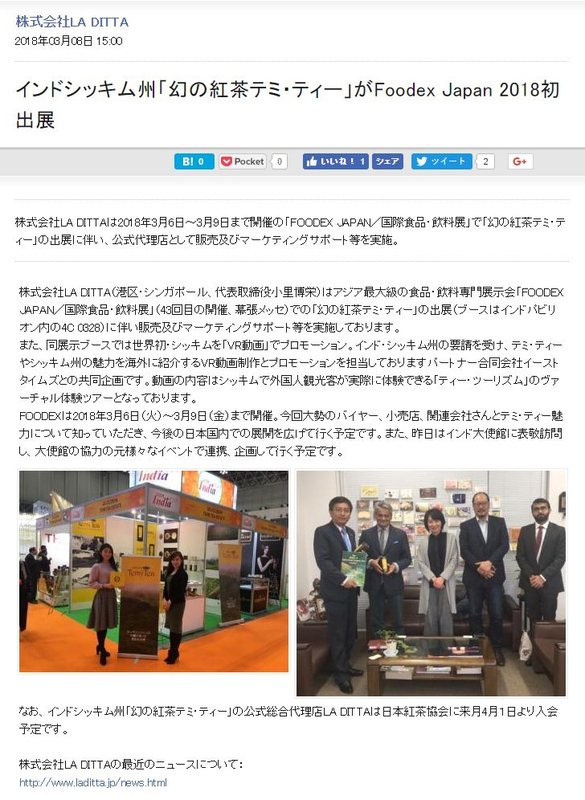 FOODEX is held from March 6 (Tue) to March 9 (Fri) in 2018. 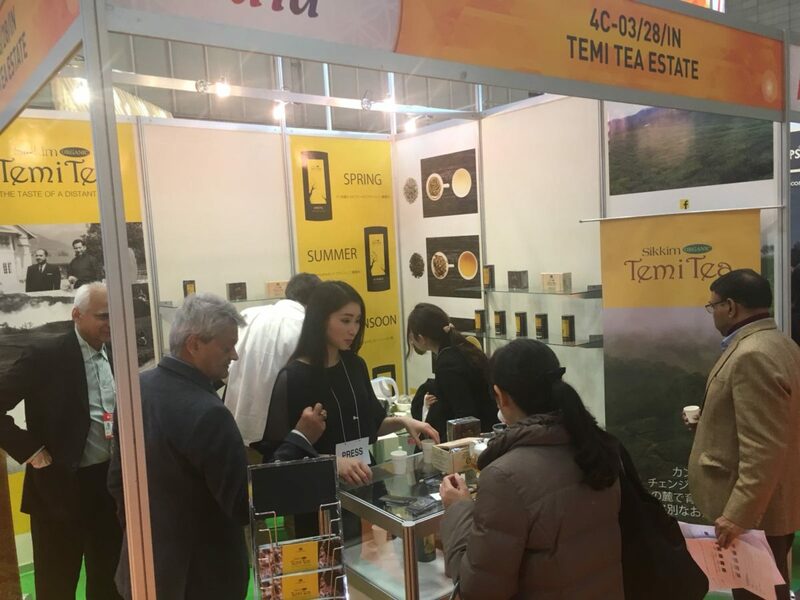 We are planning to get to know the attractiveness of Temi · Te and many buyers, retail stores and affiliates this time, and expand the expansion in the future in Japan. 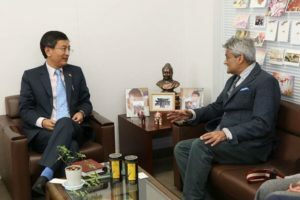 Also, yesterday, I will pay courtesy visit to the Embassy of India and plan to collaborate and plan with various events under the cooperation of the embassy. 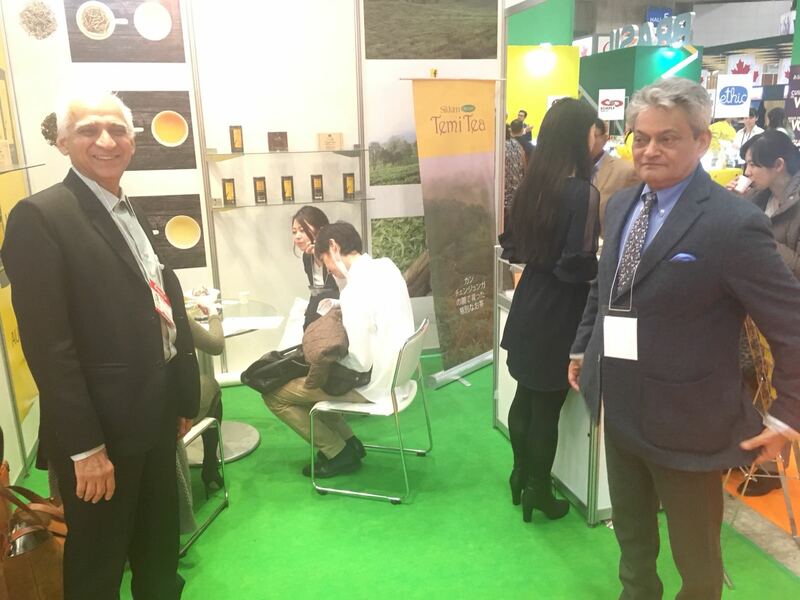 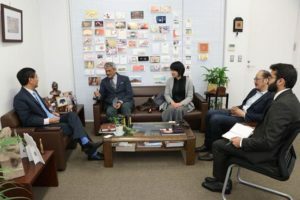 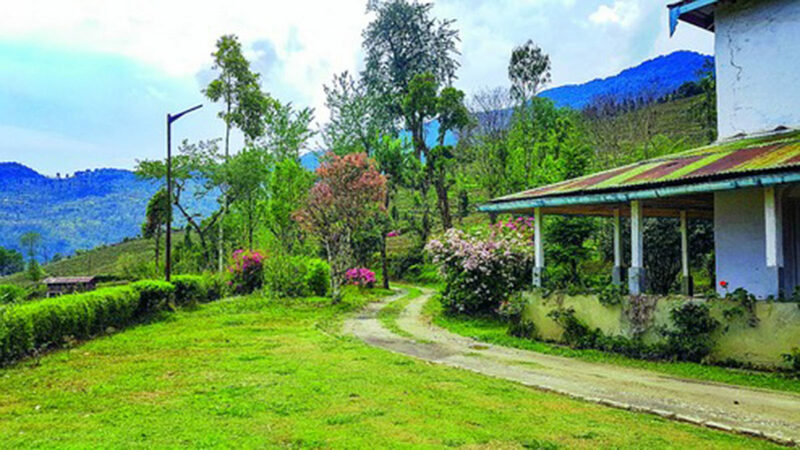 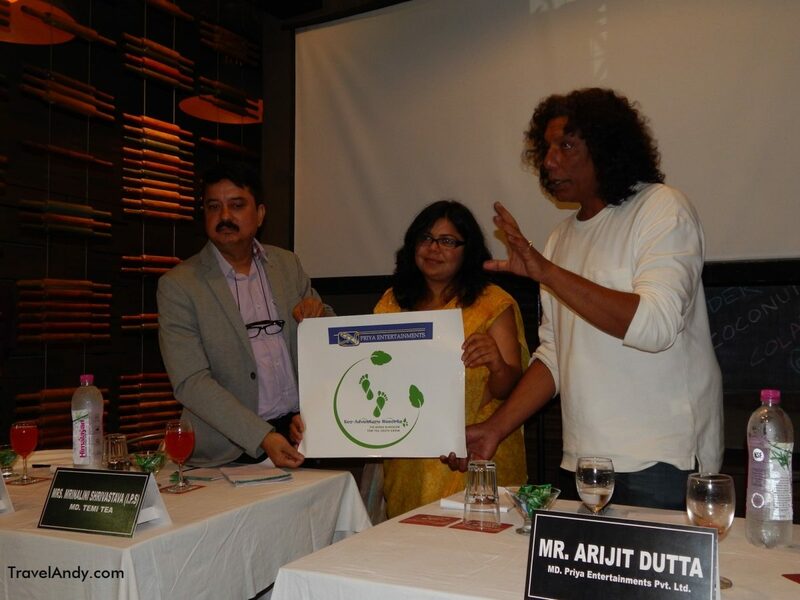 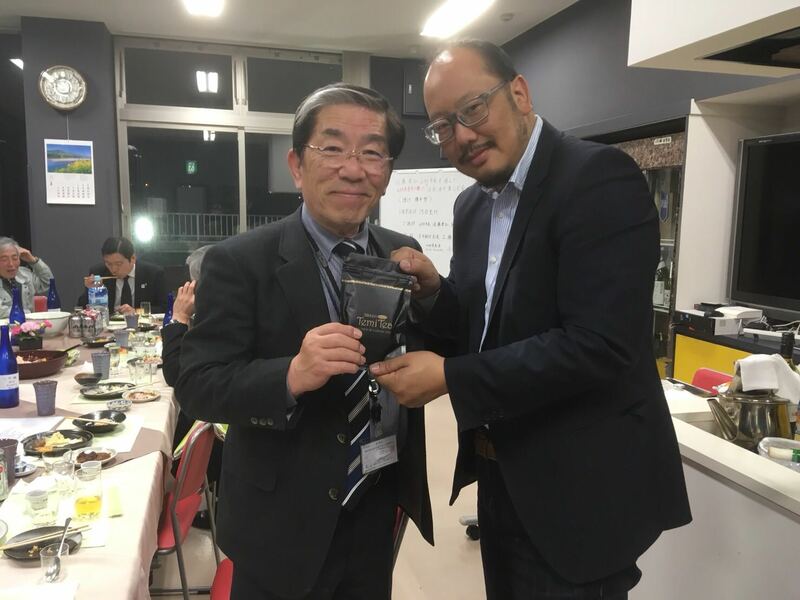 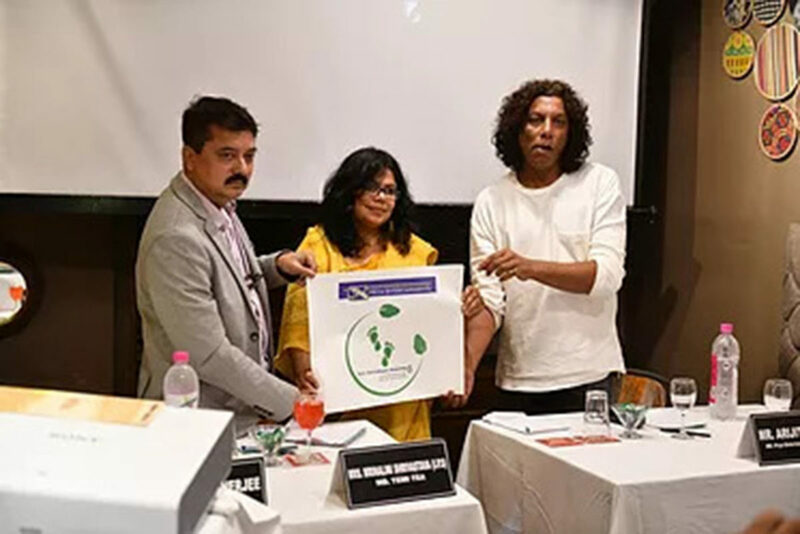 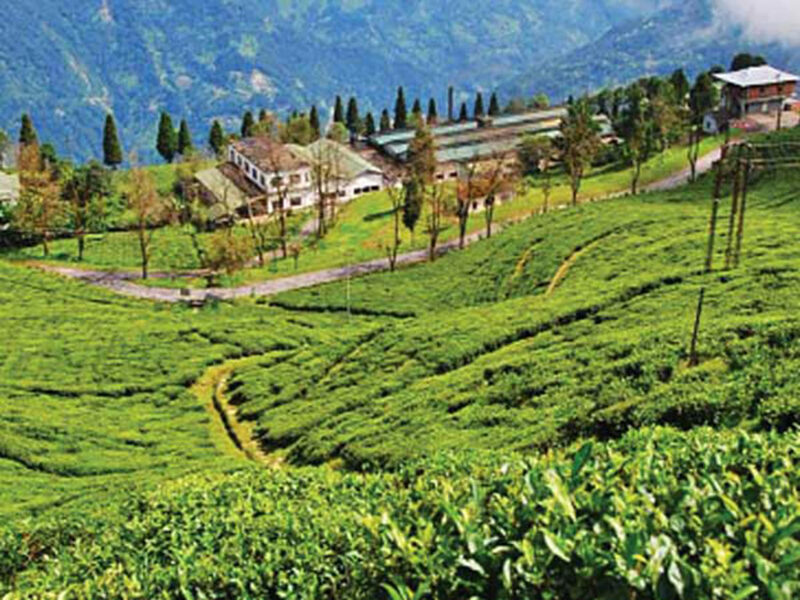 In addition, official general agency LA DITTA of Indian Sikkim province ‘Phantom tea tea / tea’ is scheduled to join the Japan Tea Association from April 1 next month.